Looking for a way to give your Stingray a unique look? Our C7 Corvette Stainless Steel, Brake Caliper Covers are the trick. 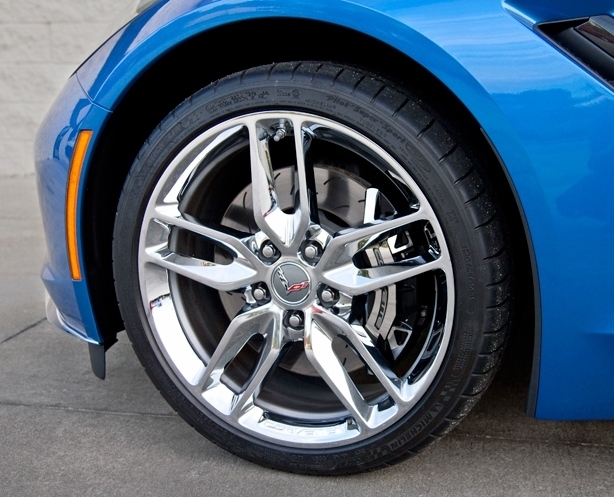 These trim pieces are designed to fit over the stock calipers and add a clean stylish look to your Corvette's exterior. These brake caliper covers are made of polished stainless steel and will never rust, tarnish or fade. They are a very easy peel and stick installation. Sold as an 18 piece kit. These are made to order, please allow 5-7 business days to ship out.